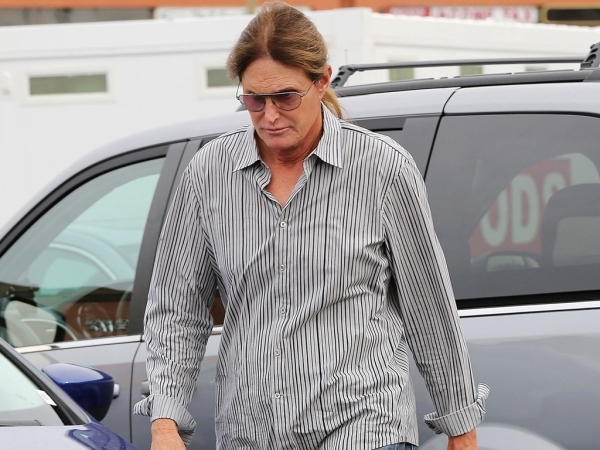 Kylie Jenner is apparently "killing" her dad Bruce with her choice in men. The 17-year-old star has been in the spotlight since childhood thanks to her family's reality TV show Keeping Up with the Kardashians. Her megastar sister Kim Kardashian also ensures the whole family are often talked about, and now Kylie is nearing adulthood she's carving out her own career. As well work commitments, Kylie has got people talking with her love life choices. She's currently dating rapper Tyga, who is eight years older than her and also a father to son King Cairo with his ex Blac Chyna. "It kills her dad Bruce to watch Kylie date older guys and make such bad choices," a source told British magazine Now. Another alleged bone of contention for the family is Kourtney Kardashian's partner Scott Disick exposing the teenager to a more adult lifestyle. In October 2013 when Kylie was only 16 Scott took her and sisters Kendall and Khloé to Vignette Lounge, a voyeuristic club in Hollywood. "Scott's problems with alcohol and prescription drugs are well documented. He's been in and out of rehab and has no boundaries. The fact he thought it was OK to take a 16-year-old girl to a sect club is troubling," a source said. "She's so famous she thinks she's above the law. She can't get away with a fake ID because people recognize her. She wants to be treated like an adult," another source added of Kylie's wish to be treated older. Kylie is also thought to have started an intense detox diet plan, taking inspiration from Kendall who works as a catwalk model. Kendall has wowed at recent Fashion Week shows, walking for Fendi in Milan, Marc Jacobs in New York and Giles in London, among others. "Kylie's started her own 'teatox diet'. She feels huge beside size 0 Kendall and under pressure to slim down," the insider said.